It has been seeing major changes in recent years, and aesthetic procedures nowadays rarely run the risk of the fake look that was sometimes the result in the past. They are more about maintaining your natural beauty and doing what the skin needs than extending the proportions of the face with Botox or fillers. While there were many very good cosmetic doctors in Egypt, he added, some wrong practices were also present. 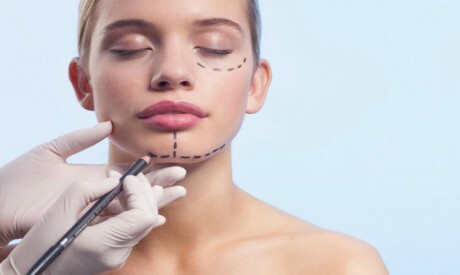 “Patient selection is a must,” he said, meaning that the doctor needs to select the right aesthetic procedure for every single patient on an individual basis. There is no one-size-fits-all remedy, and the doctor needs to educate the patient and manage his or her expectations, he said. The patient must understand the effects of every procedure, and he or she must not expect miracles. For example, a client must understand that Botox can only fix lines that are present due to facial expressions, and it cannot fix all facial problems. Results are also relative, and while many patients may be satisfied with the results of their treatment, others may not. A procedure may work for one client and not for another, for example. Ismail added that it is important to make clear that the effect of any procedure is related to the health routines of the client. Cosmetic procedures do not allow a client to dispense with the need for a proper diet, plenty of sleep and good hydration, for example. Procedures related to skin and hair can also take a long time as they are related to growth cycles. As for fillers, these have been developed such that they are more easily absorbed and have a more prolonged effect. There are also new procedures in growth factors, PRP platelet-rich plasma, and other treatments. “Each procedure has a different effect closely tied to the age of the client and his or her lifestyle. After the age of 30 we start to lose some of our collagen in the skin, and by the age of 50 we have lost some 20 per cent. This means that age is a key factor that determines which aesthetic procedures to apply for each client,” Ismail said. “Thread lifts help in the repositioning of fats in the face, and they do not lift the skin as some people think. The threads help to restore the strength of the ligaments, so that the ligaments lift the fats,” he added. Ismail said that while any procedure could have side-effects, a good doctor would always use caution in practising aesthetic procedures. “The patient has the right to know the types of fillers that are being injected and their medical composition. A well-known side-effect can be dark spots that follow injection procedures; however, the right practice and the type of the shot itself can also lessen or eradicate dark spots,” he said. Finally, many clients today are more aware of the aesthetic procedures that are available in Egypt. Clients from the Gulf often visit Egypt to enjoy the expertise of its doctors and its good prices. “In fact, medical tourism in Egypt should be promoted and developed,” Ismail concluded. * The writer is a freelance journalist.